The Macks are back to STATE! Friday, March 15th at 8:30am! Join Caleb and Mark for the WIAA Division 5 State Semi-Final: (4) McDonell Macks vs. (1) Sheboygan Area Lutheran! 103.1FM, WOGO.com! 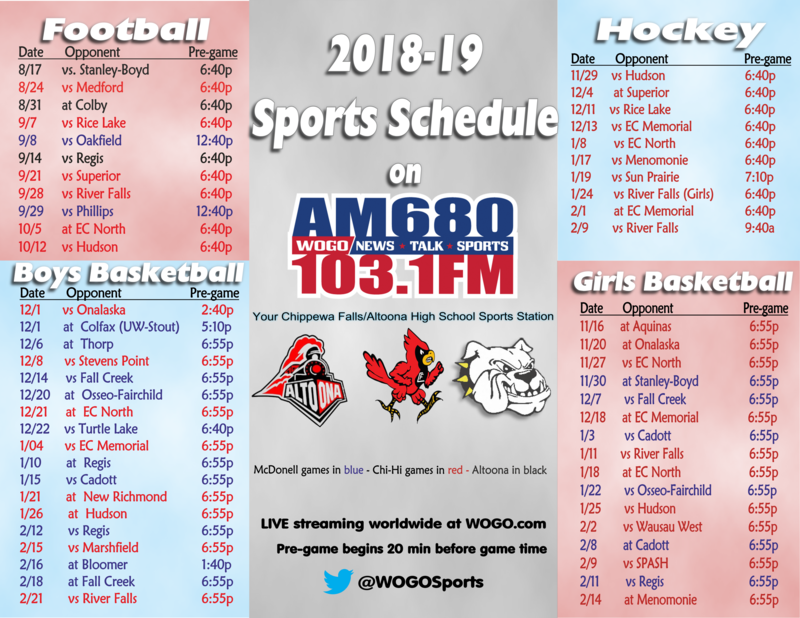 OUR 2018-19 WOGO SPORTS SCHEDULE! Don't forget, catch all the Chi-Hi, McDonell, and Altoona action from the regular season and playoffs of past seasons: click on "Podcasts" and then "High School Sports!